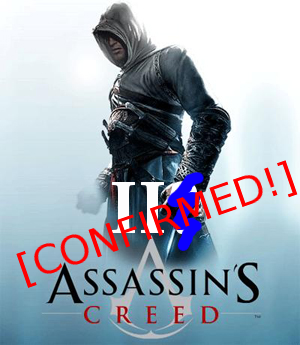 A few days ago, there was rumor of Assassin’s Creed 2 and Splinter Cell Conviction being released before April of 2010. Today, those rumors were confirmed by Ubisoft’s earning report for the third quarter of the fiscal year. In preparation for the new fiscal year, they took into account seven new franchise titles which include Assassin’s Creed, Splinter Cell, and Ghost Recon and are expected to be released by March of 2010. The other four are unaccounted for, but it hasn’t stopped publications from speculating. Joystiq asks if it could be Beyond Good and Evil 2 or a new Red Steel 2 game, but the only confirmations you’ll find in the earnings report (PDF) are those mentioned above as well as few other licensed titles. [Update] It turns out that Red Steel was confirmed earlier today by two sources, MTV Multiplayer and Nintendo Wii Fanboy. During a conference call regarding the financial information released to the public this morning, an executive at Ubisoft seemingly let slip knowledge that Red Steel 2 will be coming sometime before March 2010. Thanks for the info, just a little tip for you with your site. I used to have Snap working on my WP site, but the number of complaints I got from readers was HUGE. While it is great, and a novel idea, it can impeed a viewers screen and navigation, especially those using laptops where fingers are much different to a mouse. Great news about the Ubisoft stuff, there will also be a Rainbow Six heading our way in that time frame which is one of the licenced games they mentioned, but not a follow on, a new senario and game basically, as will the GRAW game. [EDIT] Ok, all fixed. Snap is removed and viewing pleasure has resumed.